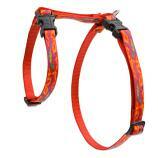 These stylish 1/2" wide harnesses are designed to help keep your favorite feline from escaping. 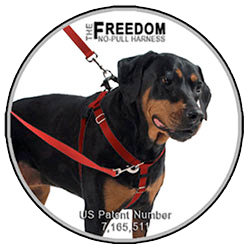 The harness has two open/close buckles and two points of adjustment, one on the neck and one around the body. 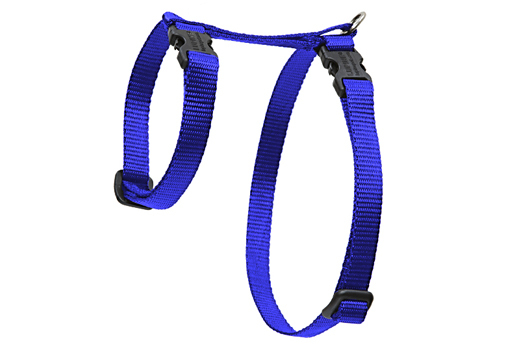 The harness comes in two girth sizes: small 9″-14″ and large 12″-20″. To determine the size please take a measurement of the girth. 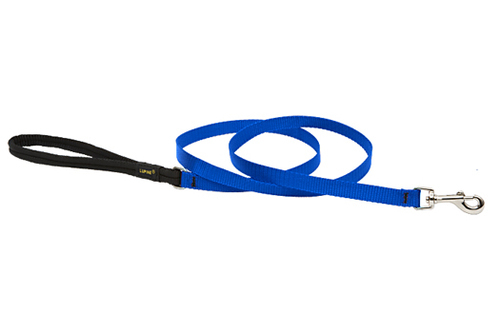 Use a soft tape measure or a string or belt and hold that up to a carpenter's tape measure. 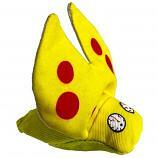 Go all the way around the kitty behind the front legs. Start directly behind the left leg, go under the belly, behind the right leg and up and over the shoulder blades of the back, making a big circle. Pull the tape measure so it is fitted to the body and don't add anything in. Select the size that will be most comfortable on your kitty. Note on Safety: Always monitor your cat when they are outside and wearing the harness.